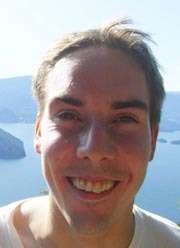 Graham Hallson’s background is in molecular biology and he’s currently working on his PhD at Simon Fraser University in British Columbia. A huge fan of problem solving he completed a successful challenge on his very first attempt and spoke to IdeaConnection about his experience. What drew you to IdeaConnection? It seemed like an interesting concept and I like to be involved in problem solving and innovative ideas. I hadn’t actually done that before. This was my first time problem solving, which turned out to be successful, which is good. What was the nature of the challenge? I can’t give too much away but it was a project that involved us designing a method of protein extraction for a specific application for a seeker. The whole time was about six and a half weeks to come up with the initial solution, but the seeker requested some additional information regarding the problem; they wanted to ask a few more questions about our solution, and that took about another two weeks. So you solved the seeker’s problem really quickly? I was relieved, and it was exciting that we had won. We always thought we had a really good solution and so we were hoping that we would receive the financial reward for our efforts. How did you find the experience of working in a team with strangers? It was actually really great. A lot of the people working on the problem brought unique experience to the table and so everyone had their little role. All of us contributed a different aspect to the experience. It worked pretty well. Did this help to spur your own intellectual efforts? Oh yes. Everybody came from a different background, and so we all learnt from each other about lots of different aspects. And I think everybody felt that way. Did you have an idea of the solution before embarking on the challenge? No, initially we didn’t know what the solution would be. It was one of our team members who came up with the idea and then we built on that. The solution emerged out of collaboration between all of you? Yes. We arrived at the solution after throwing ideas back and forth. After one member came up with a really elaborate idea we built on that and grew it into the solution. How did the facilitator help during this process? The facilitator helped to keep everything ordered. He made sure that we all had our say in the problem solving experience and he dealt with the organisational aspects. Yes it did. We held our online meetings in the ThinkSpace so that was helpful. Overall how would you describe your experience of working with the team? It was a little bit of fun, and the problem itself was challenging - to come up with the ideas and spending the time developing the solution. Working with the team was great; I thought I learned a lot from everybody on the team. A lot of them had really good experience and backgrounds in different areas from me, and so it was a great experience. Did you find being part of team was an easy process? Did you feel you could get your ideas across? Yes I did. We all meshed well. So now that you have one successful challenge under your belt, will you participate in more? Oh yes definitely. If the right challenge comes up I’ll be willing to take it on.